It’s the perfect time to go for some sunny tones when choosing your home office lights and decor. 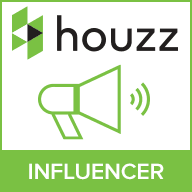 Yellow is bang-on-trend at the moment, especially, since Dulux named ‘‘Cherished Gold’’ as their colour of the year. This elegant and cheerful colour has many shades. There’s ‘‘Sunbeam Glow’’, ‘‘Clear Amber’’, ‘‘Cherished Gold’’ and many more… Pantone has even created and official Pantone colour called ‘‘Minion Yellow’’ based on the fun-loving and energetic little creatures from Despicable Me. Our Mellow Yellow theme is all about accentuating these beautiful warm tones in combination with neutral hues to make your interiors look homey and gracious this year. 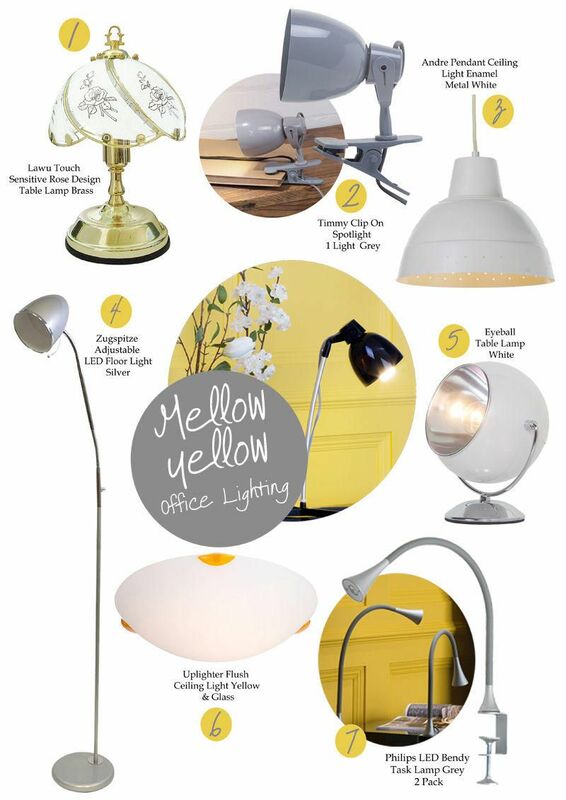 Integrate yellow in your office lighting, decor or even stationary. Selecting a yellow pen holder or posted notes in various yellow tones can be enough to add a subtle touch of colour to your surroundings. Remember that this look is about adding only few hints of yellow and keeping you space looking fresh and clutter free. Here’s our selection of office lights that will brighten the room and fit in nicely into a Mellow Yellow inspired home office. 1. Table & Desk lamps are a must for any home office. Our Lawu Touch Sensitive Rose Design Table Lamp in Antique brass is the perfect office lighting choice for the lovers of traditional style and elegance. It has a traditional style polished brass base and a feminine frosted glass shade decorated with rose print. The 4-way touch control allows you to choose the level of ambience you want in your room. 2. One of the key principles you should remember when selecting home office lights is that it should not be only aesthetic in design, but also practical. Functional lighting will positively affect your productivity levels. Our Timmy Clip On spotlight can be easily attached to a desk or a shelf and positioned the way you need it. Illuminate your work area or a specific part of your office. The lighting possibilities with this handy spotlight are immense. 3. Office lighting is not just about table lamps and spotlights. Ceiling pendants can add a touch of character and some soft ambience to the whole room. Our Adre Pendant Ceiling Light in white enamelled finish has a charming industrial design. When lit it fills the room with warm yellow light making your work area feel comfortable and inviting. 4. Practical floor lamps are an essential part of home lighting, especially when it comes to home offices or study rooms. Our Zugspitze Adjustable LED Floor Lamp offers a broad range of movement to help you position the light at the desired angle. Its LED technology that provides a bright and efficient illumination. 5. Our Eyeball Table Lamp in white is swanky solution for lighting up your home office and making it look trendy. This stylish table lamp has gained its popularity among our customers with its dapper design and functionality. 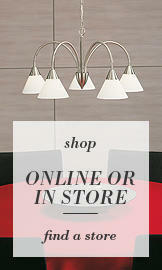 Available in 3 timeless finishes this retro design inspired lamp will fit in any modern interior. 6. Our Uplighter Flush Ceiling Light is a perfect example of mellow Yellow inspired lighting. Featuring a classy white frosted glass shade with bright yellow detailing this ceiling fixture is a great choice for giving your interiors that subtle pop of yellow. 7. Our home offices are often filled with photo frames holding precious images or certificates of our achievements. Make these prized frames stand out with illuminating them. Our Philips LED Bendy task lamps in Grey are a great way of doing that. 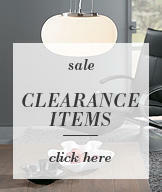 They can be easily mounted to the wall or fitted on your desk. Its bendy design also allows you to position it at various angles.